In the United Kingdom, something that is passionately loved by half the population while fervently hated by the other is known as being rather ‘Marmite’. In Australia nothing sits more squarely in the love/hate status than Collingwood Football Club. In the movie world, the title goes to Napoleon Dynamite. And in the whisky world, the ultimate love-it-or-hate-it drop could be none other than Dalmore. I rather like the 12 – although I wouldn’t regard it as an everyday whisky. To me, it calls to mind a reasonable cognac (on the rare occasion that I’ve had the chance to try that stuff). I find it distinctly grapey and full of tannins – which I like. However, I get the impression that these same characteristics are what turn Ted – and many others – off the stuff. So my theory is thus: Dalmore is a red wine drinkers whisky. While the Speysides exhibit typical Sauvignon Blanc or Pinot Grigio lightness and crispness – this dram is heavy, complex and extremely dry. On the nose I get equal measures of ham and raspberry jam – surely a combination that could only be found by a whisky drinker. The palate is slightly yeasty with red grapes and ashy notes. The finish is medium in length and warmth, leaving you with flavours of oak and pastry. While I could happily sip on this particular drop for an entire evening, I can utterly understand where the Dalmore sceptics are coming from. This is not a whisky for everyone. You’ll either love it or hate it. However, for all those haters out there, can I recommend trying the Cigar Malt Reserve before writing off Dalmore forever – now that is a proper whisky. 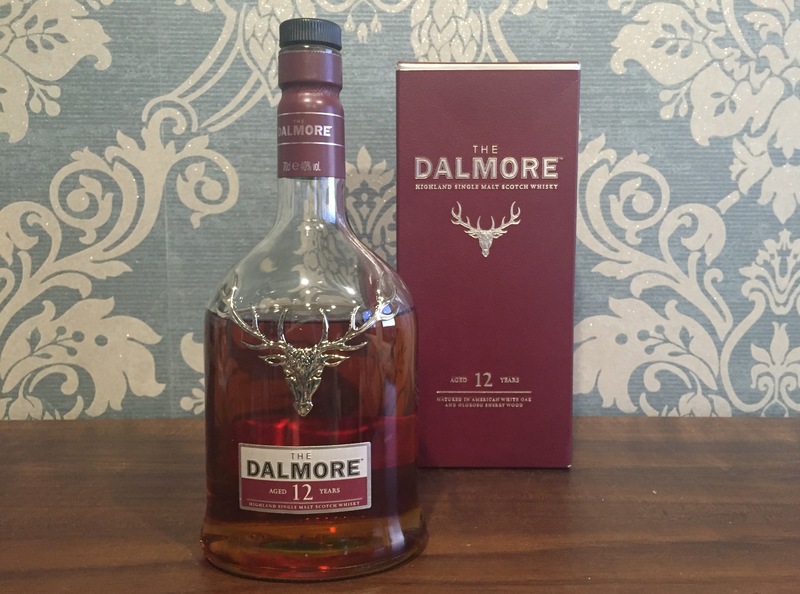 And even if you still don’t like it – you’ve got to admit – Dalmore bottles are beautiful.